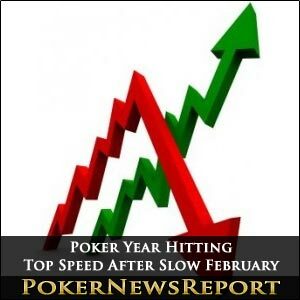 February is undoubtedly a quiet month for fans of live poker, as well as those looking for some action at the tables, but all that changed recently with the tournament schedule picking up momentum during this month. Live events are arriving thick and fast, with the European Poker Tour (EPT), Asia Pacific Poker Tour (AAPT), Latin American Poker Tour (LAPT), Australia New Zealand Poker Tour (ANZPT), France Poker Series (FPS) and the Russian Poker Series (RPS) – all sponsored by the world’s largest poker room PokerStars – staging tournaments in the coming weeks and months. Just a week or so after the latest EPT Madrid €5,300 buy-in main event wraps up at the Casino Gran Madrid this week, the tour’s 11th stop in Campione gets under way – and will make its debut as part of the eighth season with another €5,000+€300 buy-in main event that has an 800-player capacity. 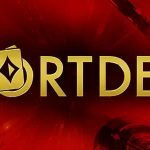 The main event will run from March 26 until 31 at the Casino di Campione in the fashionable Italian municipality that sits just inside the Swiss border, while qualifiers starting at only €4.44 are already being held at PokerStars. Hopefuls can qualify for the closing two events of this eighth season of the EPT – in Berlin (April 16-21) and Monaco (April 25-May 1) for the Grand Final – by taking part in satellites that are also running at PokerStars now. Just visit the poker room, go to ‘Events’ and look for ‘All’ to check out the full schedule. 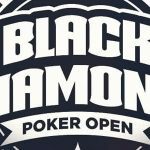 The fifth season of the LAPT kicks off next Wednesday for the five-day Chile National Poker Championship at the Vina del Mar Casino and Resort – just 75 minutes from capital city Santiago – from March 21 to 25. The $1,000+$100 buy-in main event will surely attract a huge field at one of Chile’s biggest tourist spots, with the fabulous climate an additional attraction away from the felt. For additional information, including details on the many the side events scheduled, take a visit to www.lapt.com/tournaments/chile. 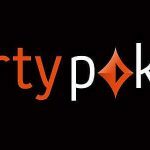 The fourth season of the ANZPT started yesterday (Wednesday) at the Star Casino in Sydney and will run until the 25th. The main event is priced at AUD$2,200 and begins next Thursday for four days of play. The first event on the schedule is a four-day, AUD$330 buy-in No-Limit Hold’em tournament, while additional details of the Sydney stop – which includes eight events in total – can be located at www.anzpt.com/tournaments/sydney. Back in Europe, the FPS SnowFest gets underway next Wednesday in the French Alps for five days until the 25th. The Casino Evian event in the Rhone-Alps provides players with 13 tournaments but also ensures that those inclined can get some winter sports in, as well as the poker – in particular the four-day €1,000+€100 main event from the 22nd. Extra details are available at www.francepokerseries.fr/en/tournaments/evian. Slightly further in the future, the final stop on the fifth season of the APPT pulls into Cebu City, Philippines, from April 24 to 30. American pro Andrew Kim won the recent AAPT Seoul main event for about $129,253 after seeing off a multi-national final table that included players from Hong Kong, Japan, Canada, Panama, Croatia, Germany and Spain – and organisers will again hope to see players from all over the world gather in Cebu’s Waterfront Airport Hotel and Casino for the PHP 100,000 buy-in main event. The Cebu event will have a 300-player cap, so it would be wise to register as soon as possible for the six-day tournament that begins on April 25. As always, it is best to check the official website for the most up-to-date information on any event, and the same goes for Cebu. 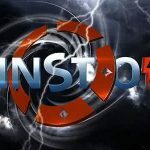 So get yourself over to www.appt.com/tournaments for all you need to know. Looking even further ahead, details of the RPS Season 2 Grand Final have emerged with Kiev in Ukraine playing host to the main event from May 15 until 19. The splendid and iconic Kreschatyk Poker Club is once again the venue for this end-of-season tournament, while the Ukrainian League 3 precedes the Grand Final from May 12 to 15. The Grand Final’s schedule of events – including the $2,750+$250 buy-in, four-day main event that possesses a guaranteed prize pool of $750,000 – can be found by navigating to the official RPS website. What is even more incredible is the RPS season-closer is offering an amazing $1.2 million in guaranteed prizes, so expect huge player numbers for this event, as well. Stay informed, follow us for the latest online poker news.